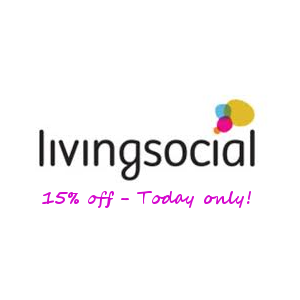 Save 15% on any Living Social deal today only with code VETS15. Max discount of $20. If you’ve never signed up for LivingSocial, they’re a great deal site – I’d put them as #2 under Groupon. Sign up with my link and you’ll get $10 to spend on any $20+ order.